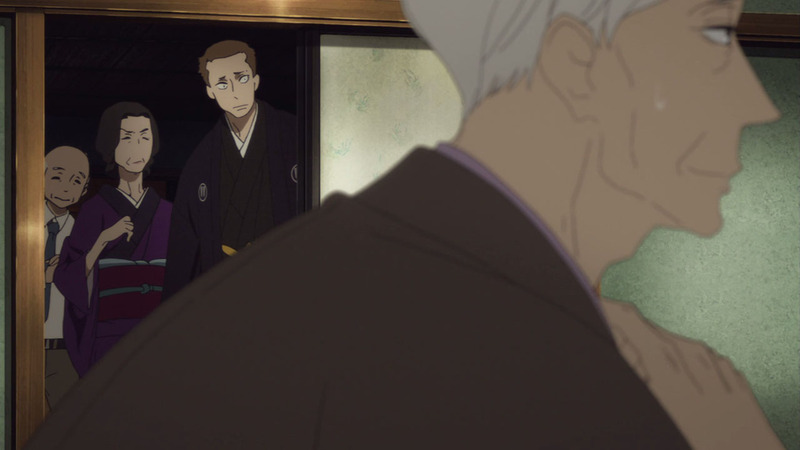 Every week I’m convinced Shouwa Genroku Rakugo Shinjuu can’t get any better, yet every week it does it again. 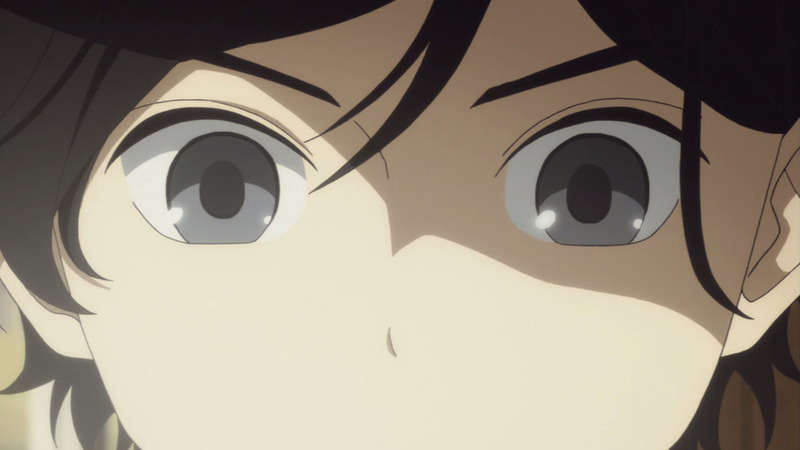 After last episode’s big reveal I was expecting this to be a quiet episode with less drama, but this was just as thrilling as we’ve come to expect these past few weeks. 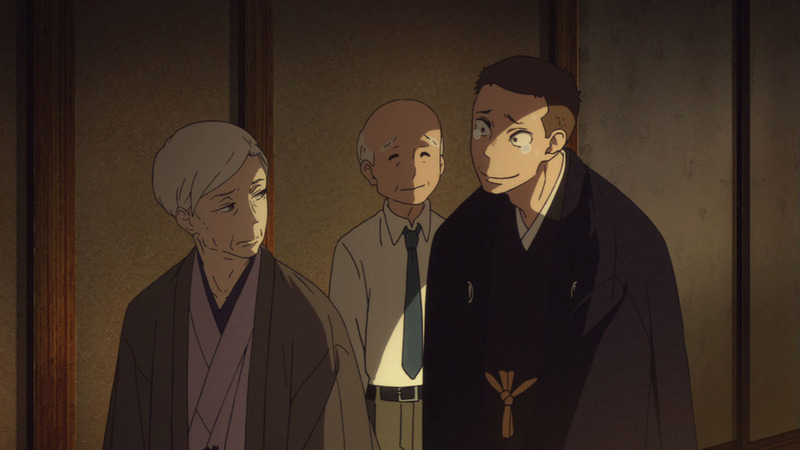 While the first few episodes of this season weren’t the best, once it found its stride in episode 4 (with Konatsu’s first rakugo performance), every episode since has been pretty much perfect. There are no flaws in the story, there’s no odd pacing, there’s nothing to pick apart and criticise because everything this series reaches for it grabs with all its might. 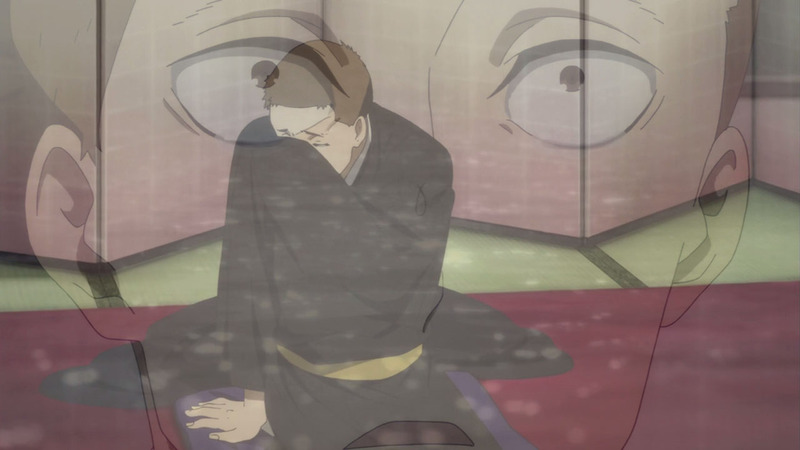 It delivers on every crucial element, and knowing there’s only four episodes to go is perhaps even more heartbreaking than the events of the episode itself. 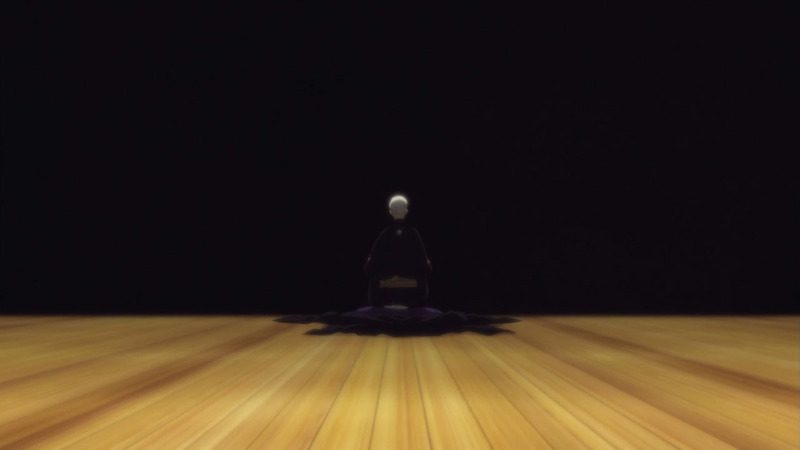 It appears Yakumo isn’t above suicide, as some thought after last week. 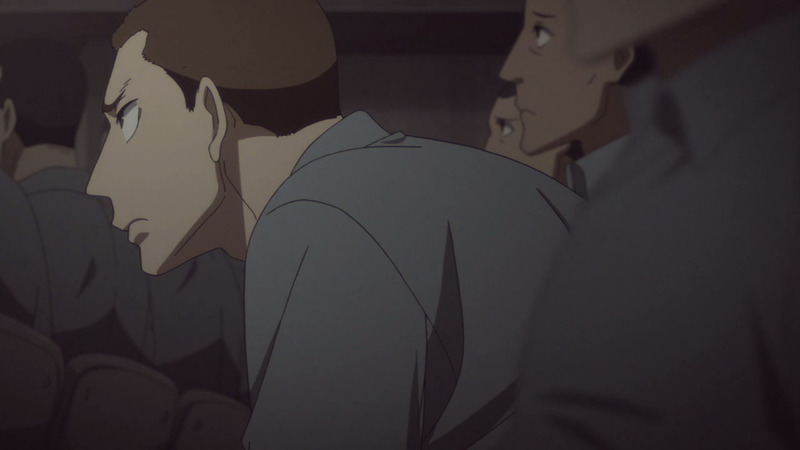 It seemed to me that a man this determined to leave the world wouldn’t hold back in taking his own life, and he was prepared to do just that if Yotaro and Konatsu didn’t show up at the right moment. Would he even have had the strength or will to push himself over that bridge? 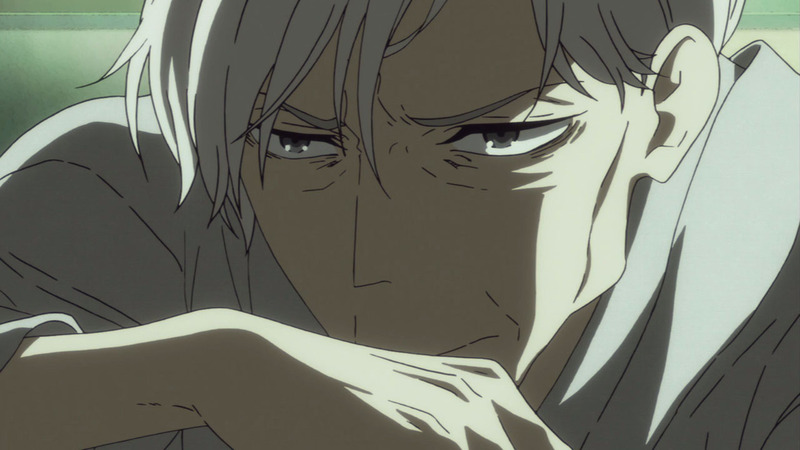 We’ll never know, but we see Yakumo at his weakest here. After watching him grow throughout his life, hearing him talk about his body rotting away is truly heartbreaking. 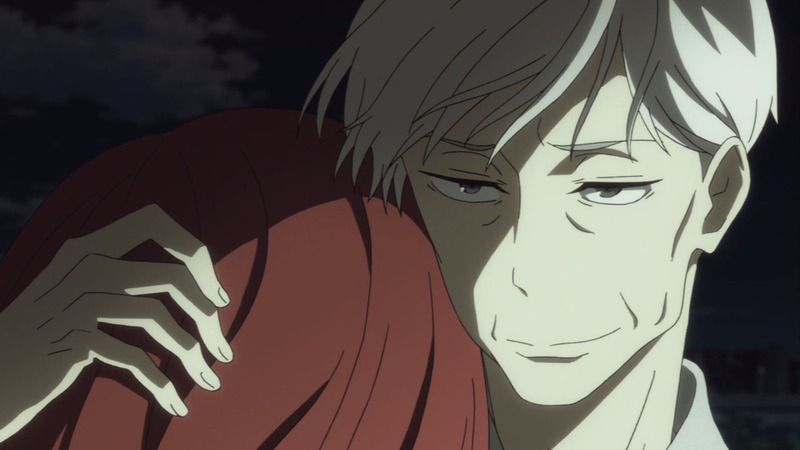 As ever, Yakumo is a compelling man who you both love and hate (though not so much hate these days). 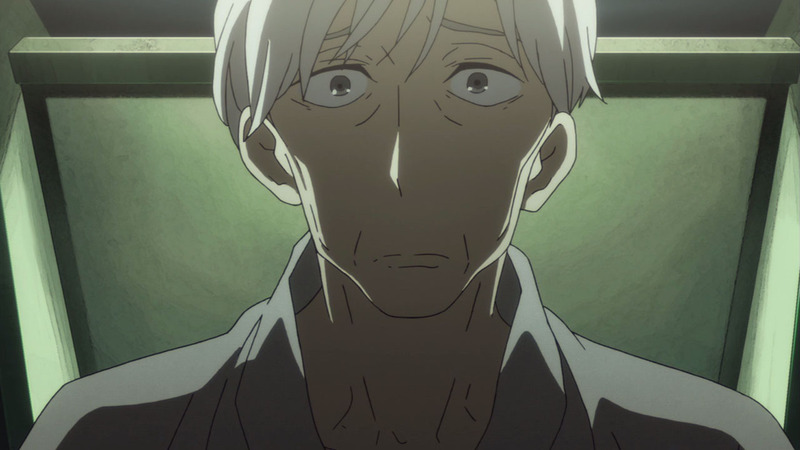 After knowing he’s purposefully painted himself as the villain to keep the truth from Konatsu, it’s hard to think of him like that in reality. 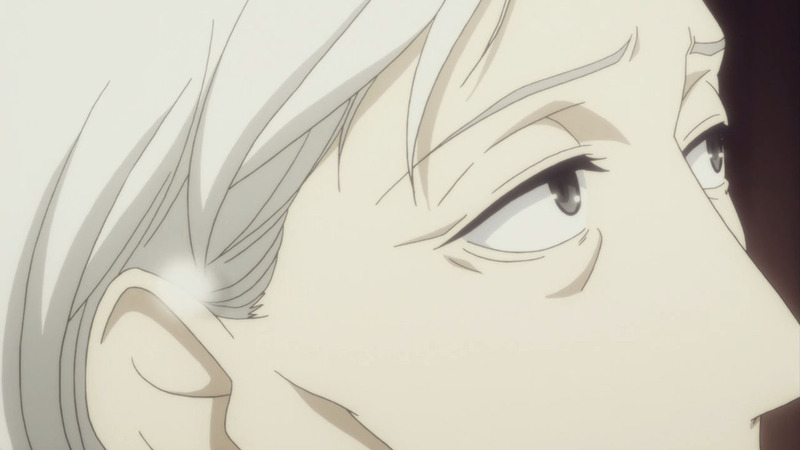 But then you have scenes this one where he gives a wicked smile to Yotaro that I’m not sure how to read. 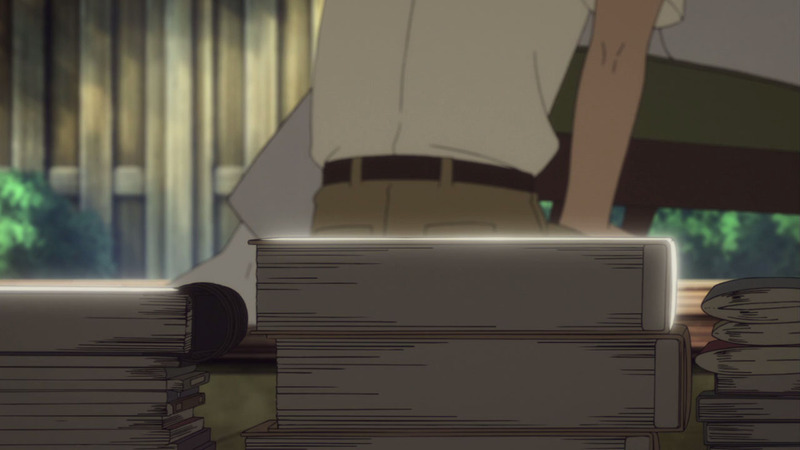 This episode once again delivered on the slow and believable progress in Yotaro and Konatsu’s relationship. 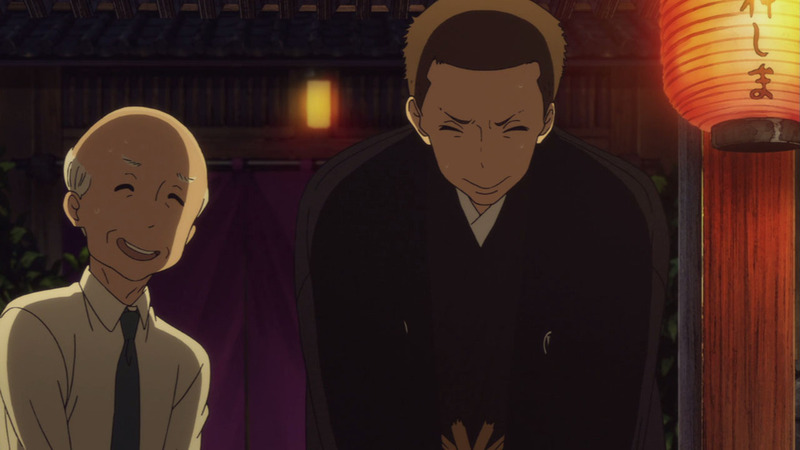 In reality, a married couple taking years to get this far is ludicrous, but with each new step in the right direction, Rakugo Shinjuu sells their relationship as authentic and loving. Look how far they’ve come! 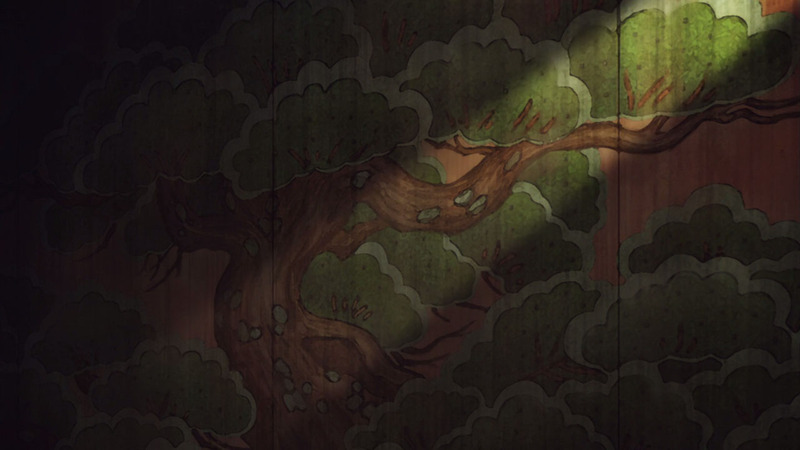 Or rather, look how far Konatsu has come. Before long they’ll be kissing and doing things that actual couples do! 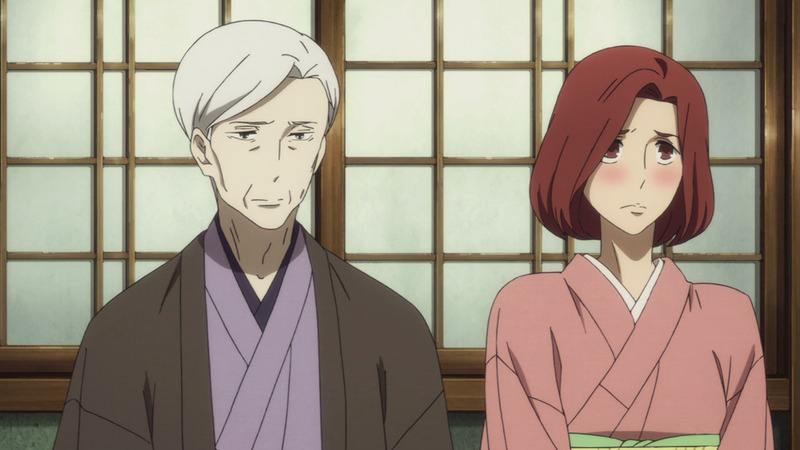 But in all seriousness, their scenes are increasingly sweet, and you can see that both have fallen for one another after putting themselves in this arranged father-mother agreement. 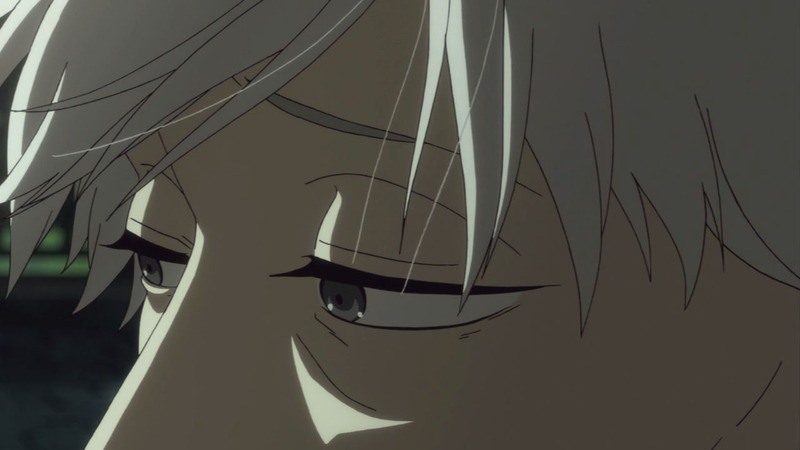 Likewise, Shin is growing slowly, and with each new scene he has with Yakumo, it reaffirms the idea I have that his grandchild will be the one who keeps him going until the bitter end. 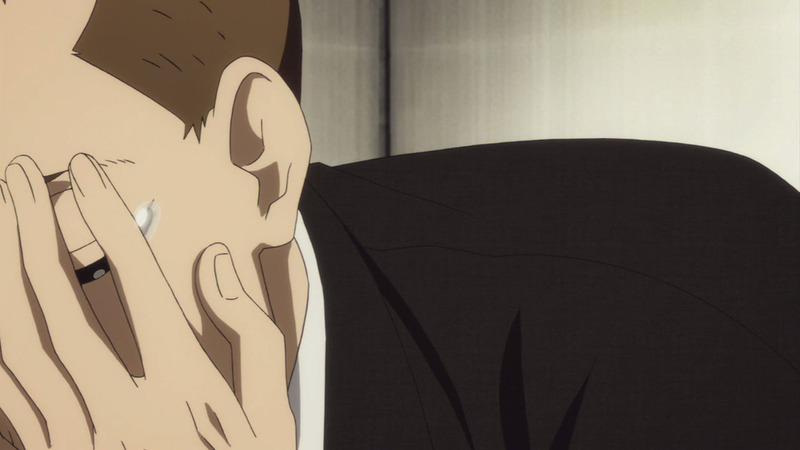 Yotaro’s performance this week was perhaps the most emotional of the entire series. It relied little on gags and instead was accompanied with a lovely backing track which steered us in the direction of tearful emotions. 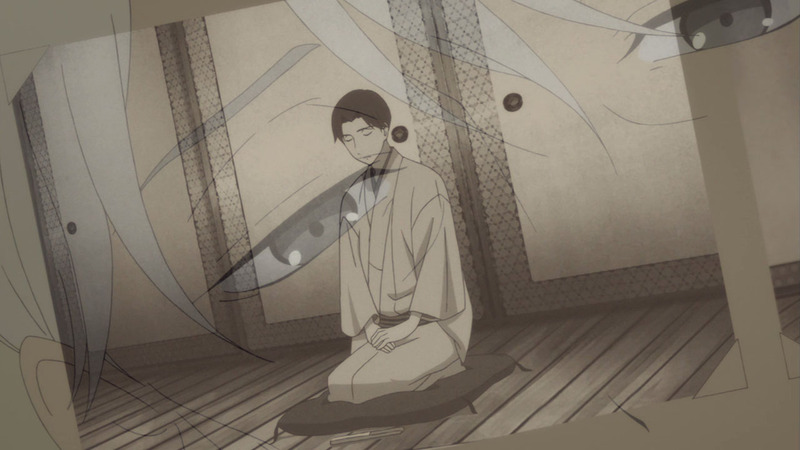 I didn’t quite well up like Yotaro himself, or get flustered like Konatsu when she watched her husband channel her father’s story, but I felt Yotaro’s every word; he was practically pleading for Yakumo to take the stage after him, giving his story his all to inspire his master not to give in. 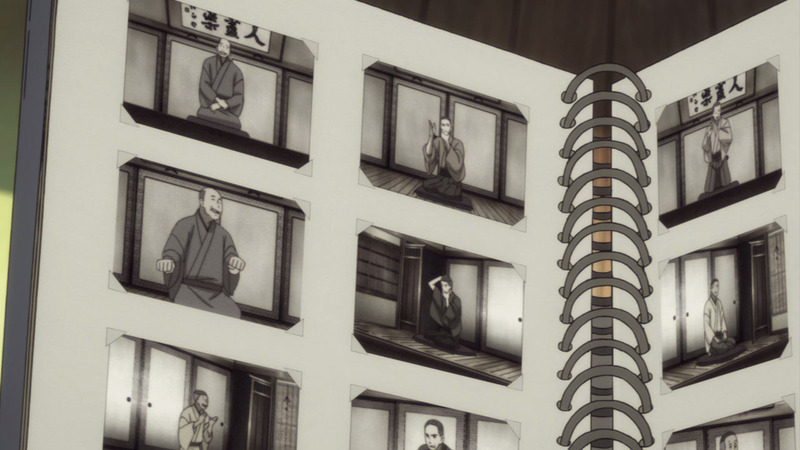 And it was all going so well, until the police arrived and took away Yakumo’s close friend and Shin’s birth father. 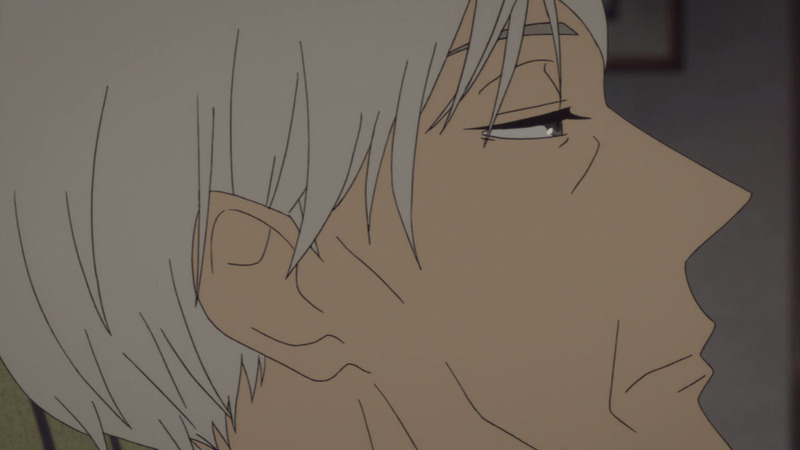 I’m not going to lie, I was caught off guard by that ending, but it certainly makes for some good drama, and put Yakumo’s returning performance on hold once again. We’re getting teased for what remains, and while there’s a few possibilities in which route the story could take, this isn’t the sort of series where you can predict every plot beat just before it comes. It’s hard to know if next week will be set hours or years later, and where the characters will be. 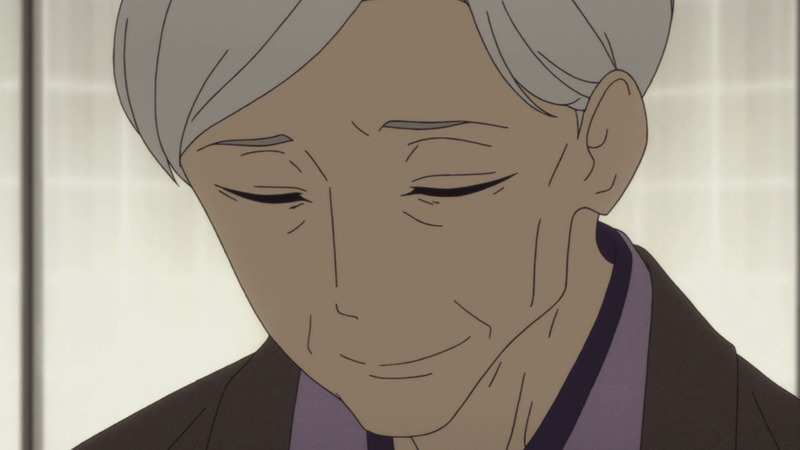 But that’s what I love about Shouwa Genroku Rakugo Shinjuu: It feels like we’re following the lives of these characters until they barely seem like characters anymore, and more like real people who lived these lives and we’re just privileged enough to know their stories. 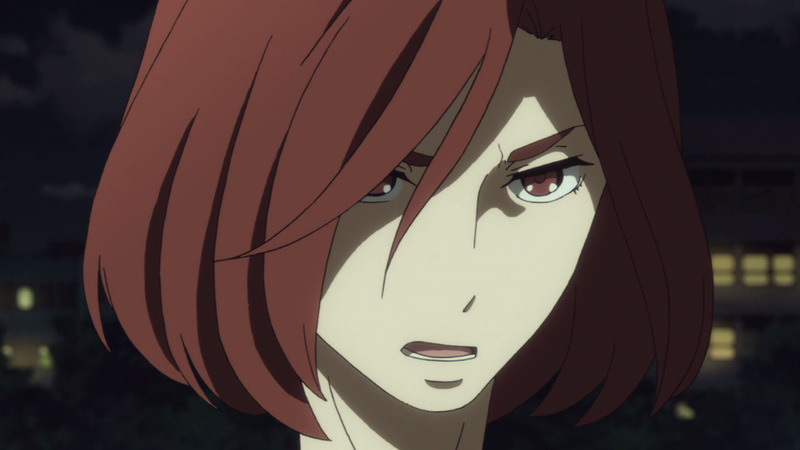 First, I still doubt Shinosuke’s paternity. 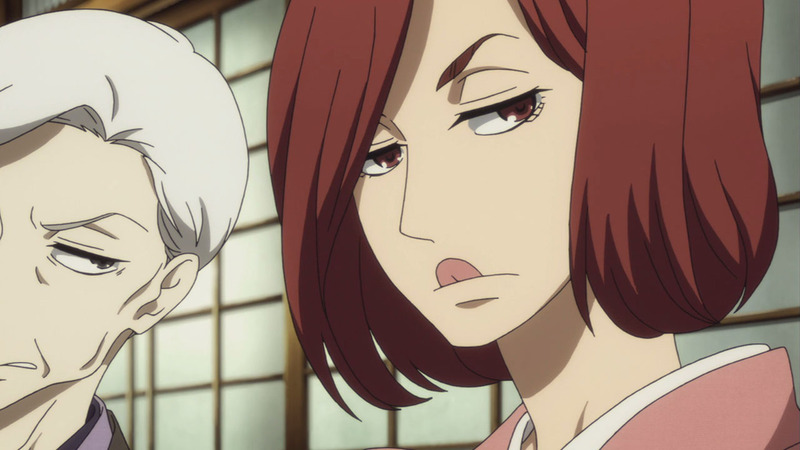 Shinigami would be obvious, but wouldn’t be adequate at that moment. 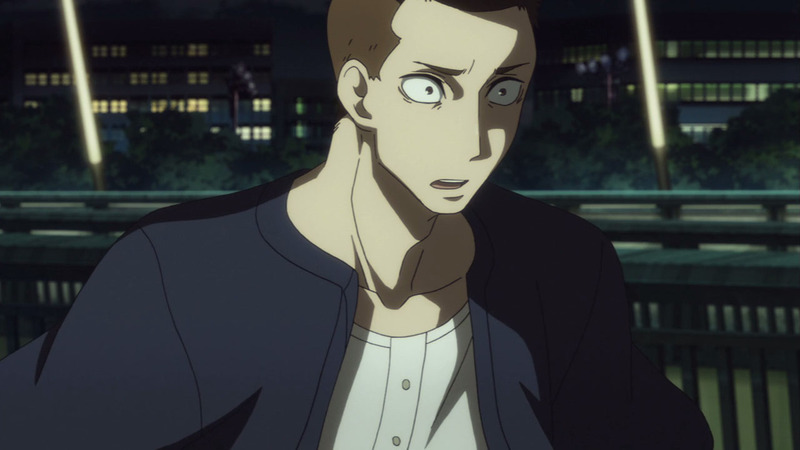 Maybe he was going to perform that one that I forgot the name, the one he wispers for Konatsu at episode 2. He is the primer suspect but you know the drill, “I want to believe”. The guy loves her, but suddenly she appears with a baby in hands. 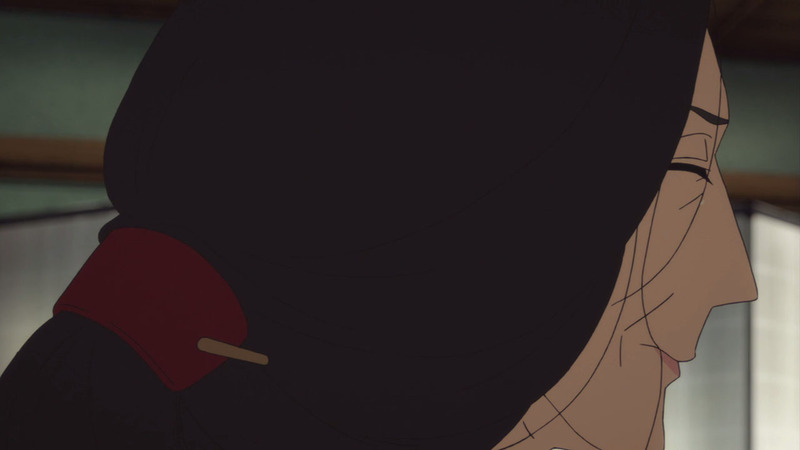 1) Konatsu meeting him in secret and bringing Shinnosuke with her. 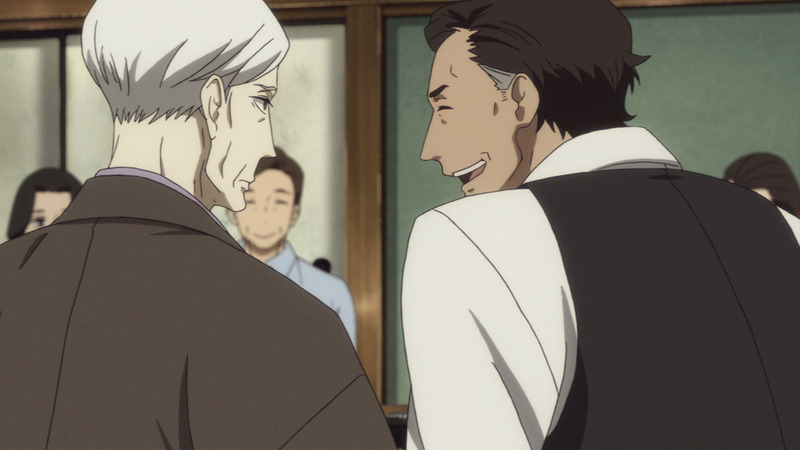 2) Yakumo and the boss have been long time friends, Konatsu used to work at the tea house which was used for the shady dealings thanks to his mistress/Miyokichi’s friend (and the police couldn’t enter until now). This means they’ve known each other for a long time, she could trust him. 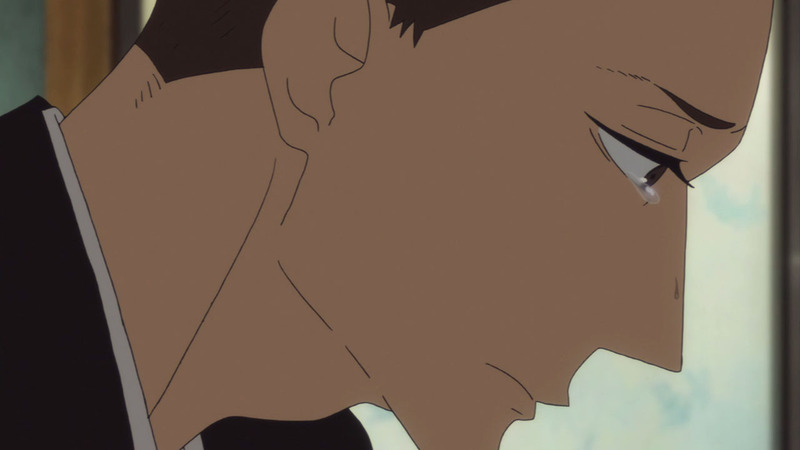 3) During Yotaro’s confrontation, the boss only got angry when he realized Konatsu was feeling uncomfortable. 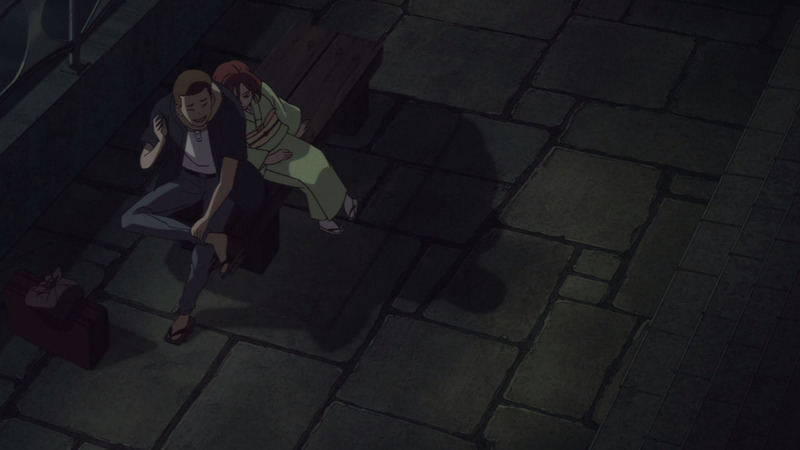 When he throws Yotaro to the pond and Konatsu begs him to forgive Yotaro, there’s a lot of intimacy between them and he gives her a look full of fondness. 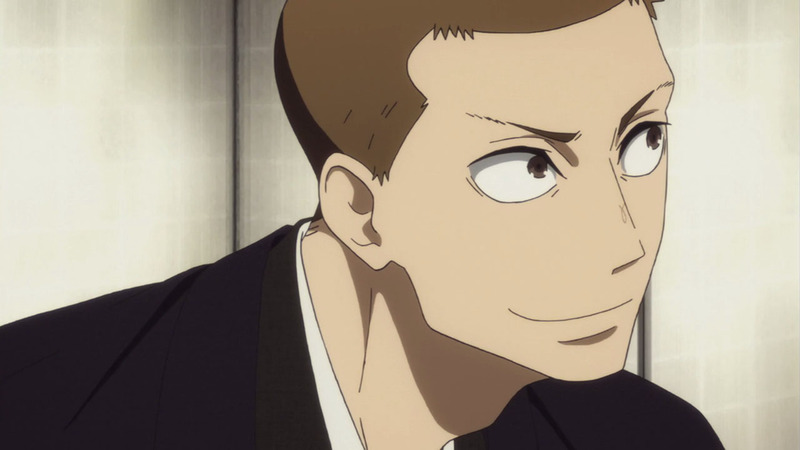 4) Yotaro mentions the physical resemblance between Shinnosuke and the boss. 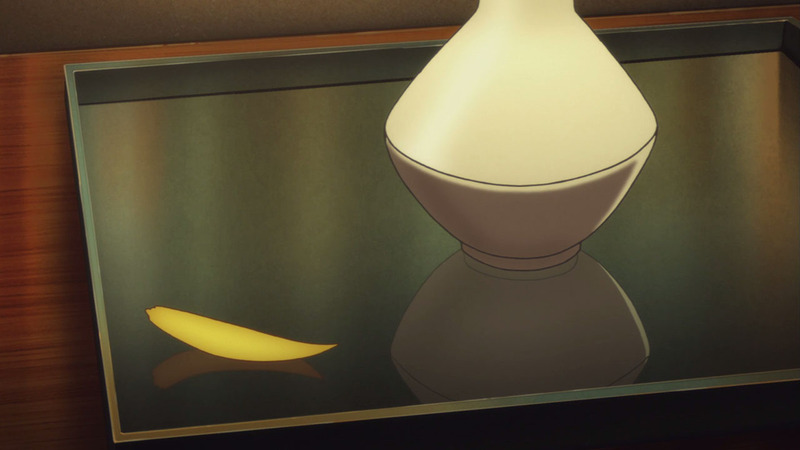 In the show when a character talks about resemblance it tends to be important and I don’t think Yotaro would have said it if he didn’t believe so or wasn’t true. The boss didn’t deny it. 5) Aniki looked surprised to see Shinnosuke, I feel if he slept with Konatsu in the past and knowing Yotaro is now married to her, he would have said it. 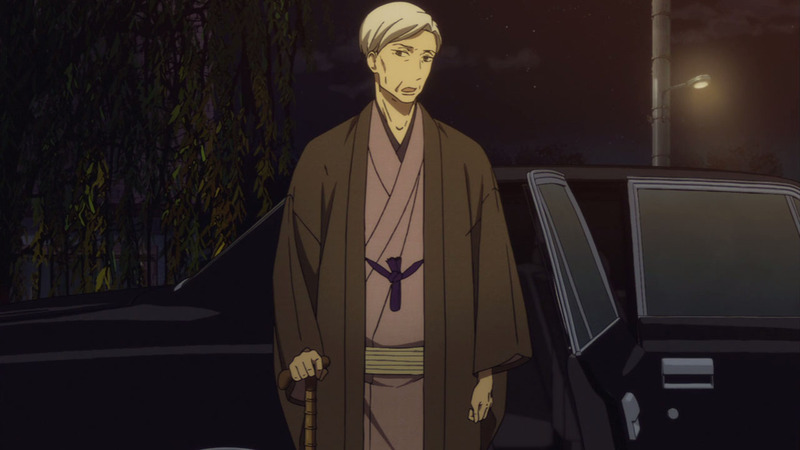 Or Kumota-sensei would have made Yotaro talk with Aniki instead of going to the boss, leaving the boss role as Yakumo’s friend and not directly involved in Yotaro’s confirmation as Shinnosuke’s father. Nope, Bon’s not suicidal. He sure as hell wishes he were, he wishes he would die, could die, or would be killed. 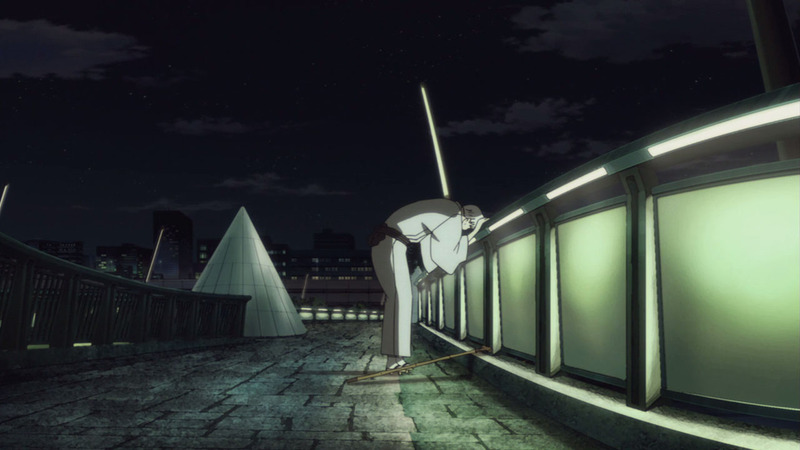 But his pathetic attempt to stumble out onto the same bridge where his adopted children just happen to be hanging out pretty easily dashes that view, IMO. His desire to be dead is superficial, shallow, and uncommitted. He himself even then goes on to admit he loves the world too much. He can complain about the dismay and horror of his failing body but he despairs because he isn’t ready to be done yet. If he were done with life, it wouldn’t matter if his body is failing. He’d die easily, by his own hand, an accident, or physical failure, if he were fully ready and wanting to die. He’s suffering, in part, because he isn’t ready to give up on life (isn’t suicidal) but his body is going before him, leaving him less able. He can’t kill himself because he isn’t ready to die. Life and his tragedies aren’t done with him yet and it looks like he isn’t yet done with them, either. I believe he’ll die easily when his inner turmoil is resolved; I don’t expect him have to resort to suicide when he’s ready to go. 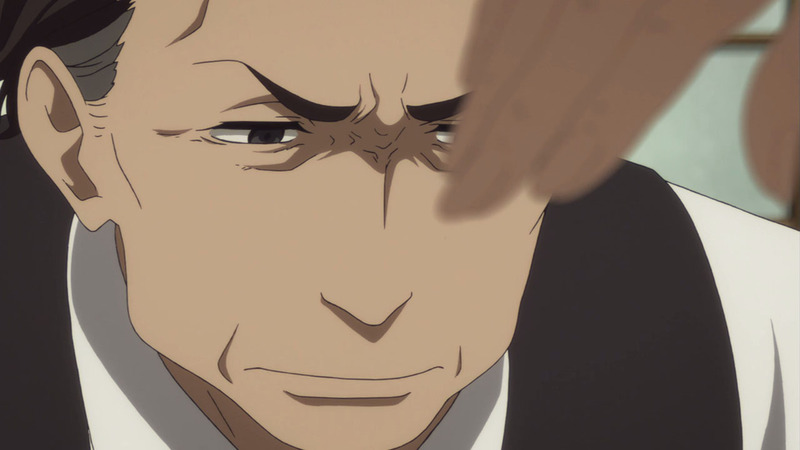 I think he needs to resolve his conflict over the future of rakugo. 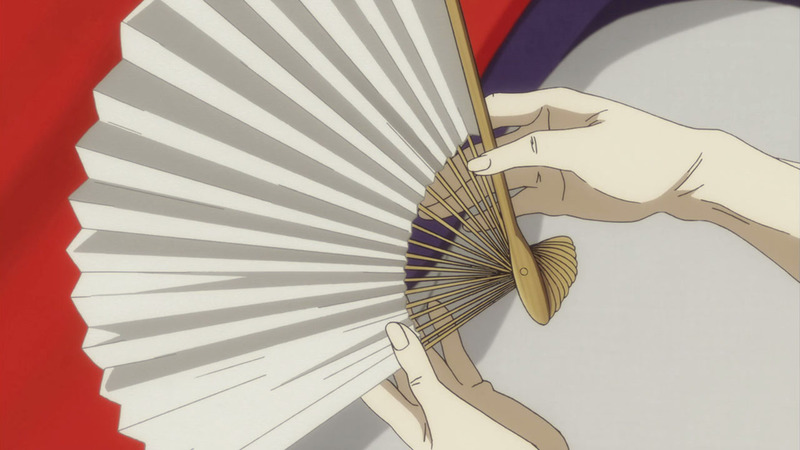 He needs to let go of his cherished but twisted desire to take rakugo with him. 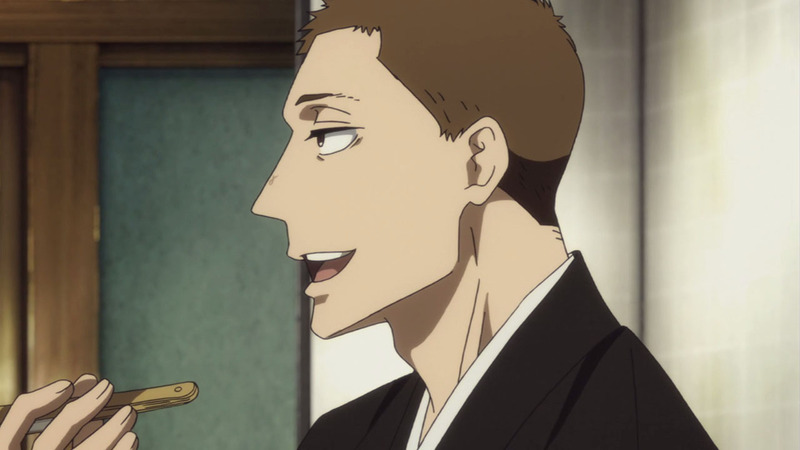 It’s clearly a split desire: he both wants rakugo to continue and thrive but fears the possibility of it being changed. 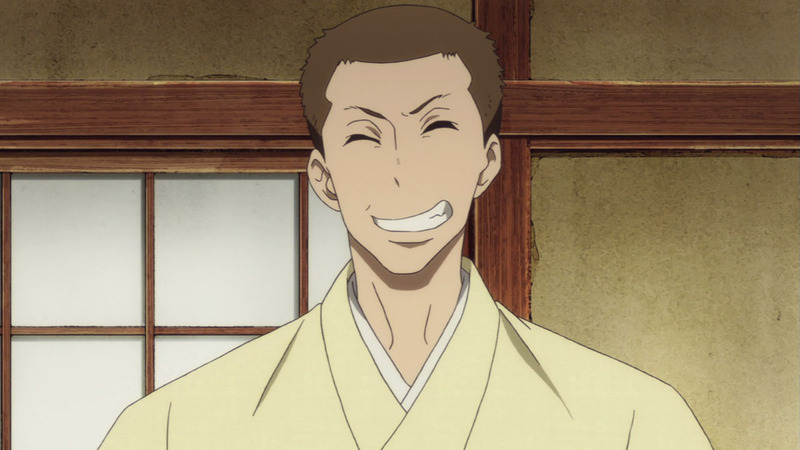 He needs to fully accept Yotaro and the possible changes he (and maybe Konatsu) will bring to the art. He needs resolution with Konatsu who presents another split desire. She’s easily his most important living person and they’ve lived 20 years together compounding lie on top of his original lie. The closeness between them is shown only in occasional gesture but they can’t speak honestly with each other, having long ago traded insult as a substitute for affection. The wall between them has been cracked and it’s cracking more quickly but it’s still looming. 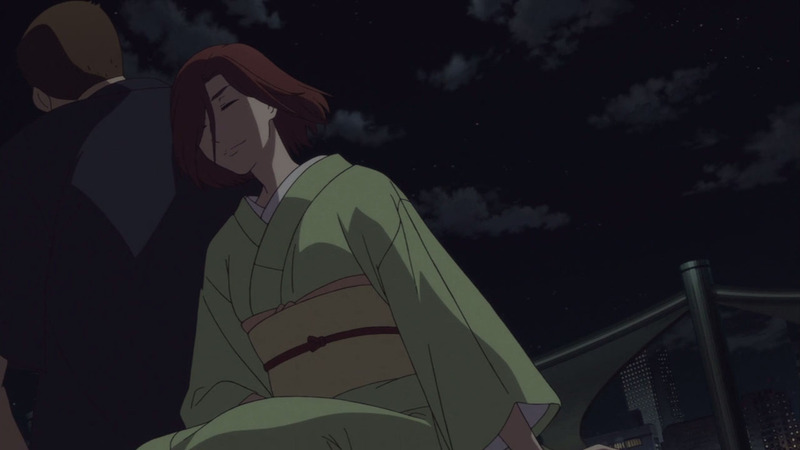 I also think Bon needs to reach a sort of peace with his inner ghosts of Shin and Miyu. He’s felt their weight for most of his adult life and probably both desires and fears to join them. Another split conflict. I hope and expect he’ll reach some sort of resolution, at least with the more earthly conflicts, before he passes. 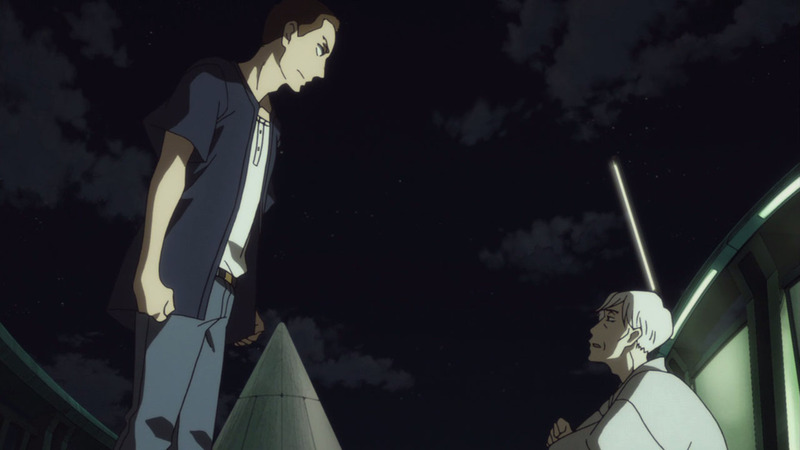 The resolutions may not look “grand” or be as manipulatively obvious and tear-jerky as the story Yotaro and Shin both told of the repentant husband but I expect them to be satisfying. 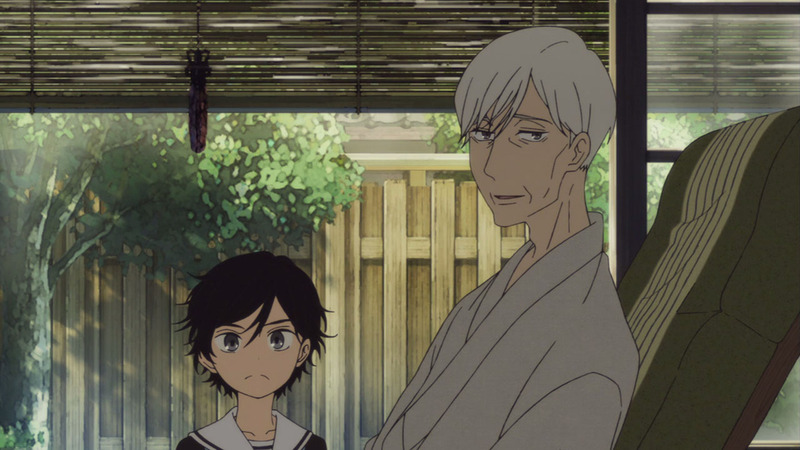 I wonder if things would have ended differently if a self professed otaku fan of Ghost in the Shell and Cowboy Bebop, Robin Williams, had stuck around long enough to have seen Rakugo Shinjuu, since it portrays the troubles of an old actor that’s built an immense amount of popularity from the hard work spent acting and tackling these relevant issues day after day for decades while providing joy to others through the stories he’d portray. 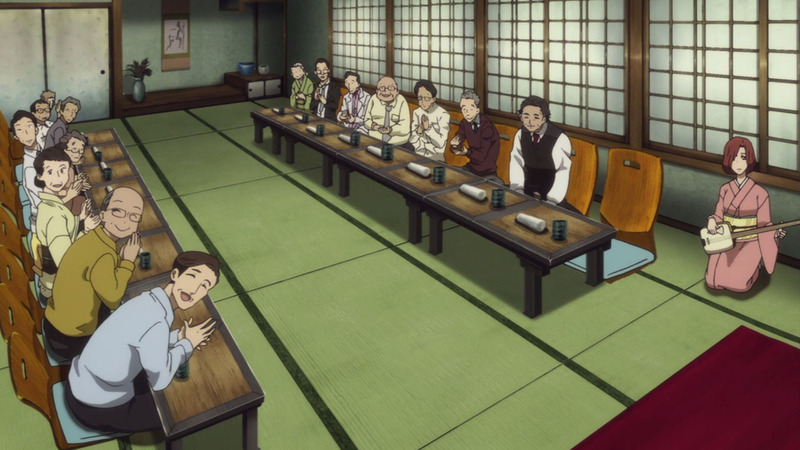 It is also great that the manga was nominated again for the 21st Tezuka Osamu Cultural Awards. 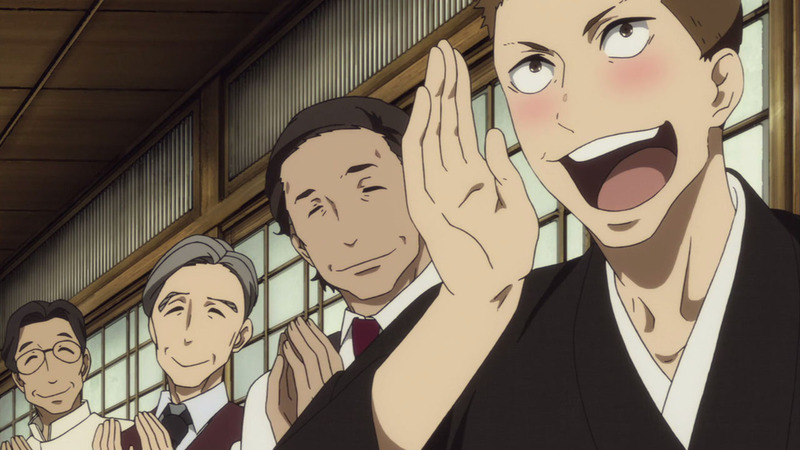 I hope Rakugo Shinjuu wins this time around!